Grand yet homey, 612 West Cliveden offers the best of the Mt. Airyneighborhood. Swing open the thick wooden door - the first of many "they don't make them like that anymore" touches in the house - pass through the paneled entryway, and step into a spacious and comfortable living room with a brick fireplace as its focal point. The adjoining dining room comfortably seats 12 or more, with bay windows letting inplenty of light. With an open floor plan, the space is made forentertaining. The eat-in kitchen offers space for another large table, as well as seating at the granite counter top facing the cooking area. A sunroom offers space for relaxing and reading, as well as access to an enclosed dog run. An unusual full bathroom on the ground floor provides flexibility for accommodating guests. At the other end of the ground floor a second formal sitting area with another brick fireplace has been used by the current owner, a professional photographer, as a client greeting area. The space is connected to a second floor studio, full bathroom, and office by an elegant custom spiral staircase. This bi-level, four room suite could also easily be used for an au-pair or in-law. Elsewhere on the second floor a master bedroom with walk-in closet is bathed in natural light from windows on three sides, including a bay window with a window seat spacious enough for the entire family to cuddle up and read on cold winter days. 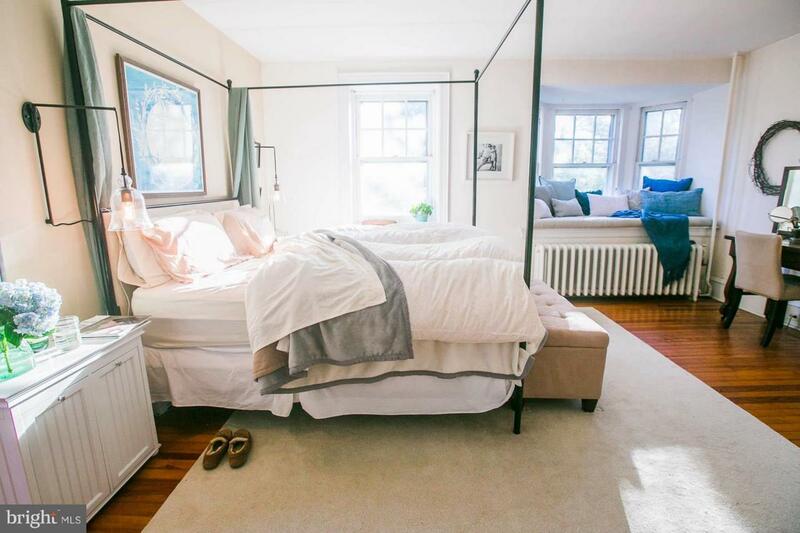 The master bedroom also boasts an adjoining sleeping porch that is perfect for a hammock and that allows beautiful views of the sunrise coming up 0ver neighboring Wissahickon Park. Another large bedroom and full bath complete the floor, with transom windows throughout. 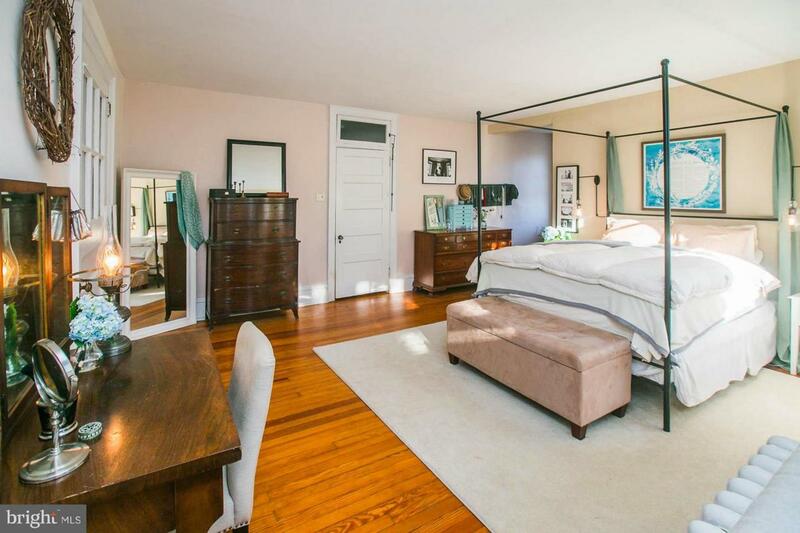 On the third floor, three large bedrooms and a full bath with antique claw foot tub are joined by an enormous fourth room with walk-in closet that could be a bedroom, but is also big enough for use as a family room or luxurious private library. If the 1,500 square foot basement is not enough storage, there are large closets in every bedroom - unusual for a house of this age - and walk in closets on the first and third floors. A top-of the line heat and hot water system was installed in 2013, with a 40-gallon tank for virtually endless hot water.Just as special as the home itself is the property and the location. 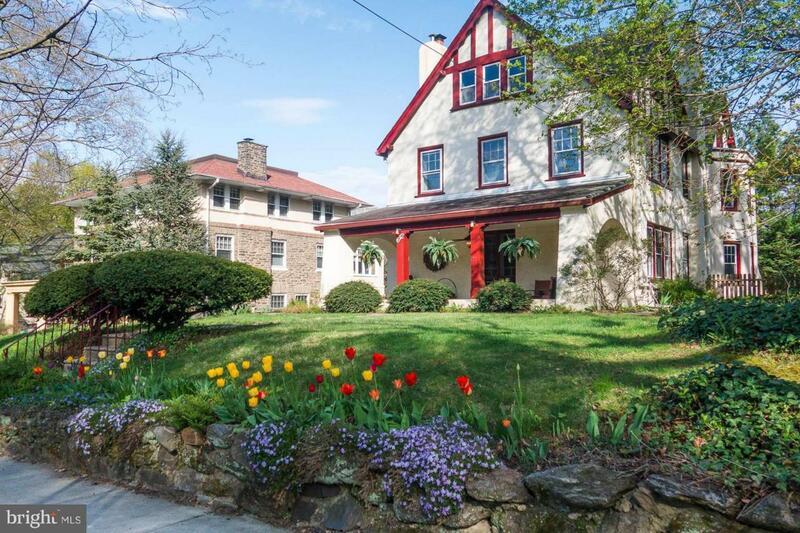 The very private back yard of the house abuts park land, and an almost-hidden gate in the back fence leads to a path that will take you into the Wissahickon - an extraordinary 1,800 acre section of Fairmount Park with 57 miles of hiking and biking trails, and even trout fishing and stables. The yard also holds plentiful garden space, currently planted with mature trees and colorful perennial flowers. Front and side porches welcome neighbors to come sit and watch the world go by. Despite its access to the great outdoors, the home also offers all the conveniences of city living, with two train stations within a ten-minute walk that will have you downtown in 25 minutes. It is also an easy walk to the heart of Mt. 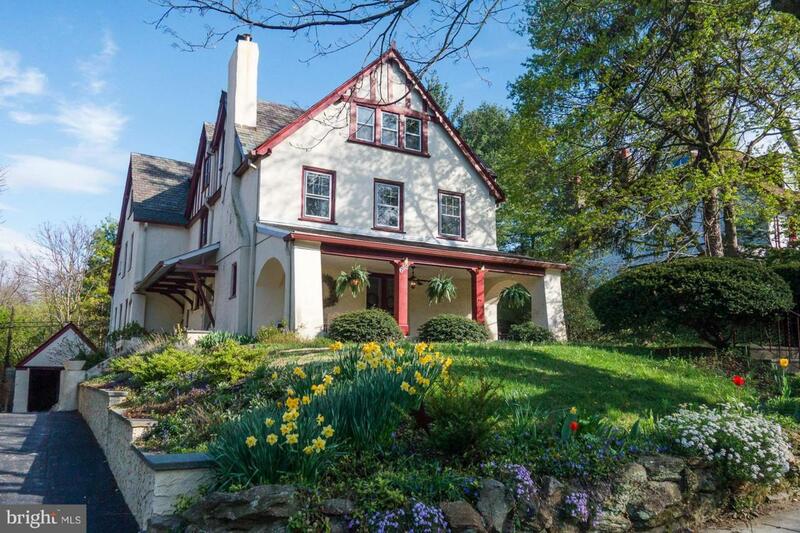 Airy with its famous grocery co-op, Weavers Way, and the much-loved High Point Coffee Shop.